I’ve been struggling in this days. 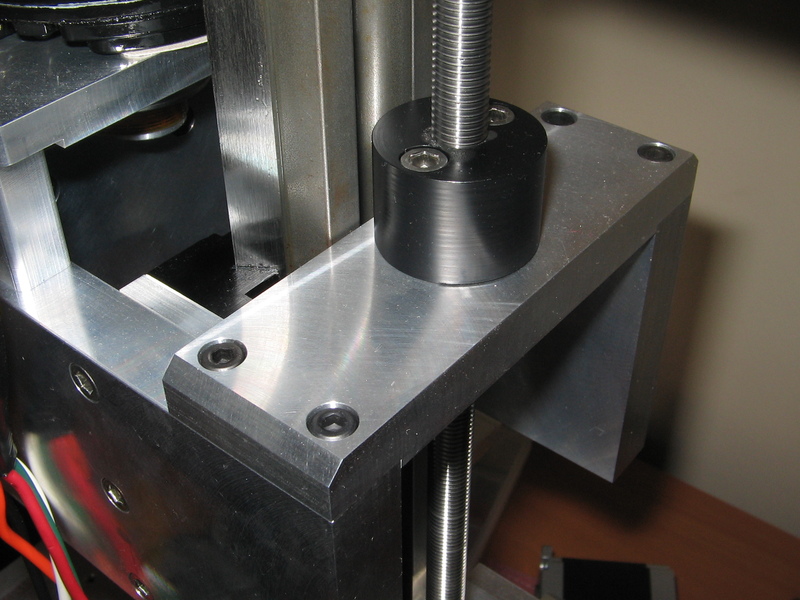 First, here my nice Z axis delrin nut. 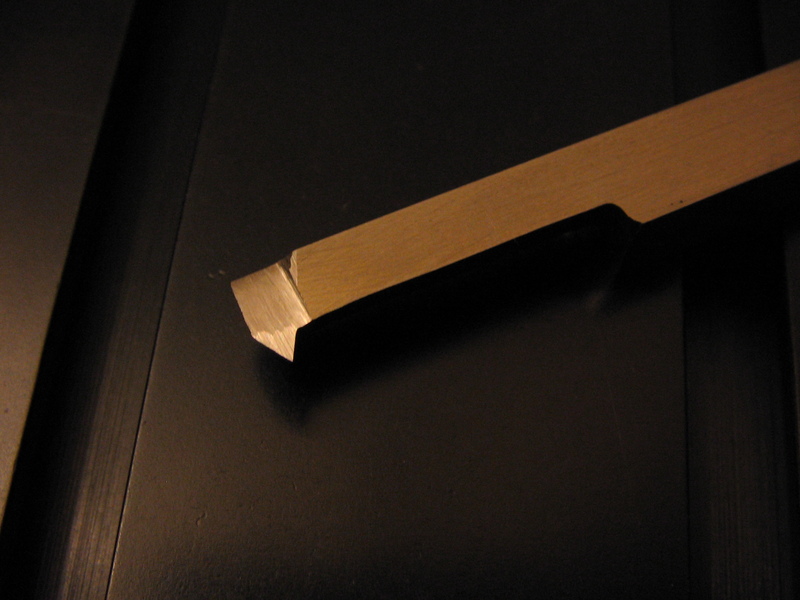 This was supposed to be split type, but I get (luckily) a perfect fitting so it wasn’t required. I grind my own threading bit, not bad for free hand. 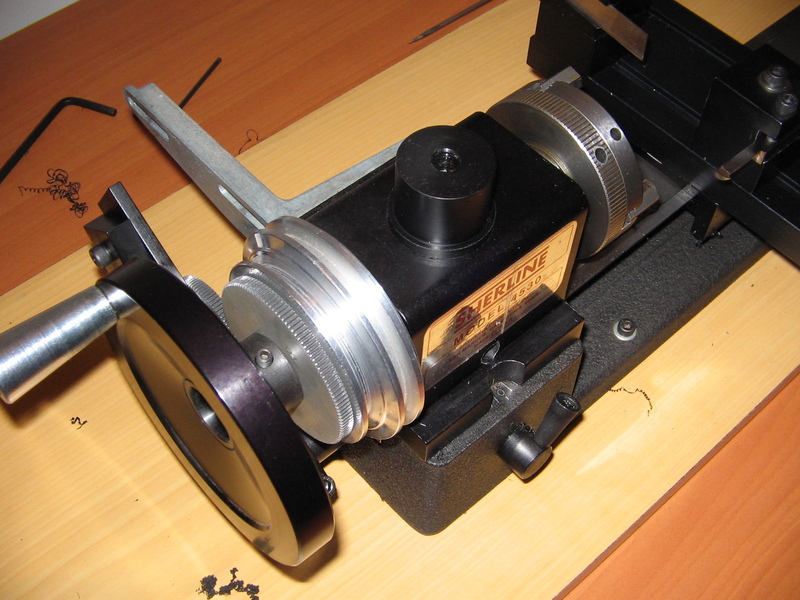 Turning the Z axis knob feels very soft, better than my manual mill. I’m not interested in measuring backlash by now, so please don’t ask. I also did a delrin nut for the X axis… but I’m still pissed because a stupid error, so I will not show it (seems to work well, though). Just remember…. when threading, always check a table with drill sizes for both, steel and soft metals, like this. First, I connect the ground from the 5V supply to the ground of the 24V supply (brown cable). 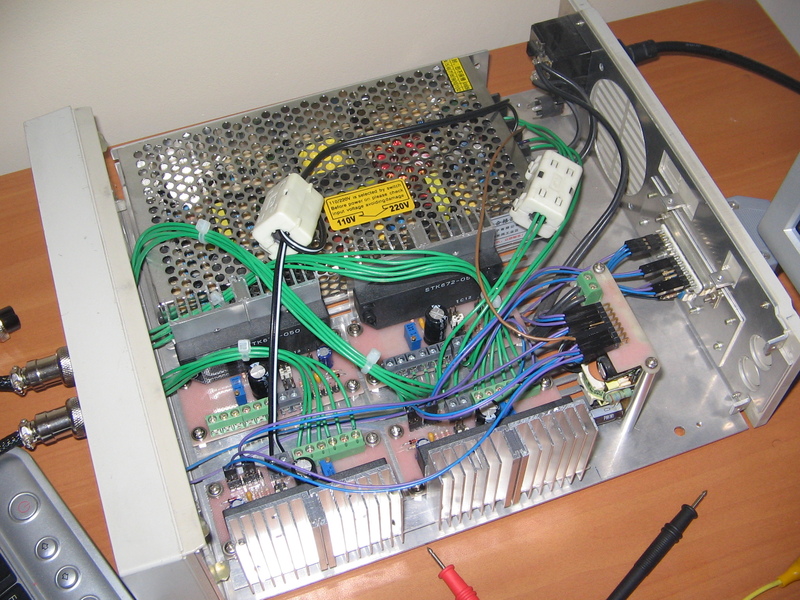 Seems I misunderstood STK672-050 datashet, which says you can use separated grounds for logic and power supply. Second, I add a ferrite bead to the supply wires of every board. Seems to work better with at least a turn. I will bought a bunch on eBay (not snap type, just plain toroidal). Nevertheless I should note that I’m driving the motors at 2.5A, not 3A as it should be, so maybe I find some noise later, but it’s ok for now. Please remember, I’m talking about idle motor noise; running motors will always do some noise. I was easily able to get 70 IPM’s, seemingly without losing steps. I hope to do more testing once the whole thing get finished. Just a last thing… using a laboratory regulated supply I found that when I set a current at 2.3A, the current draw from the supply, for the Z axis going up, was 1.25A. Not a surprise, but an interesting empiric data. On the tapping drill size, I wasted 4 taps (of which 2 are rather expensive) while tapping M2 holes in stainless steel. Couldn’t figure out why till a blog reader suggested that my drill size is for softer materials…. You did a nice job grinding that tool. Wow… I can’t get to that level despite several tries though they did work when put in use. I can’t seem to get that nice look you did. Nice to hear from you. Little people understand how much work and patience takes doing even the small things at the shop. Many times my work partners (software developers) said “hey, but you don’t do anything but small parts for doing another small parts!”. Good luck!. A lot of work… I know its difficult work and tiring..
Hope you master the machining! 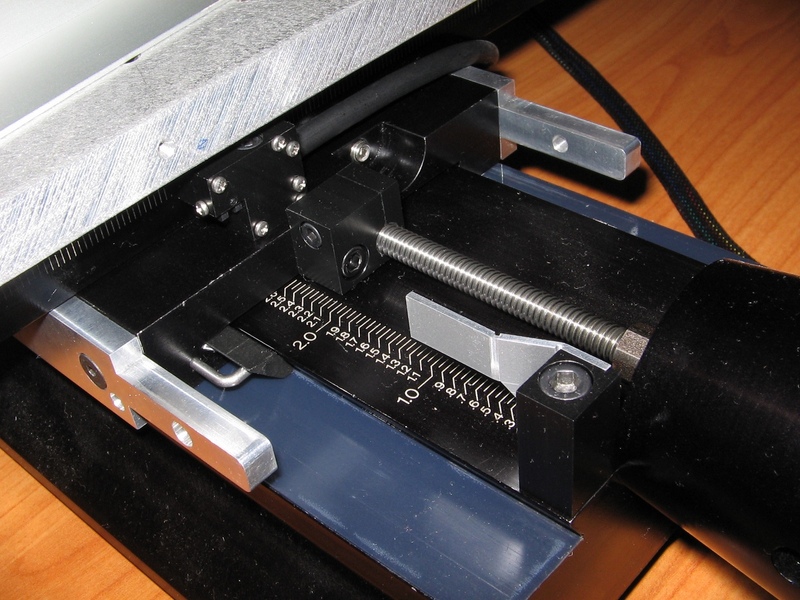 How did you deal with x and y… You wil have to fit better screws there too! If you upgrade all x y z, i dont see how you will fail to make quality parts! Keep up the good work man! Thanks. I had upgraded x and z nuts to delrin, but without success (same backlash as with sherline ones). Anyway I will try to enhance my nut design in the future. Ball screws are something that I had avoided (on x and y axis), but I still don’t discard this possibility. It was an epic failure… I think the problem is the nut size is tooo small.. Its simpky too weak and fragile. It gets crushed by the setscrew… I think it is possible to make the holes bigger but for y axis, its impossible to expand, unless you make a custom saddle…. Well, my nuts were outside of the saddle, split type, but I wasn’t able to get a satisfactory low-friction/low-backlash trade off. I have backlash compensation, it works (I took measurements before and after), but nevertheless I’m not able to get a perfect circle cut (for example, I get 0.13mm diameter variation on my first part, good enough tough for what I needed). Anyway I will try to enhance my design/materials with the hope to lower backlash in the future. If you refer to the x/y delrin nuts, well, I didn’t write about them because they didn’t work as expected (backlash is about the same than brass nuts). i have been watching your posts. that’s what i am currently undergoing. Thanks for the support!. Nice to hear about others doing similar mods; maybe I try those leadscrews some day. You can contact me at igarrido@i3micro.cl.